Hundreds of eighth graders around Los Angeles spend meticulous time crafting their high school applications and wait in hope for a letter from the admission office congratulating them on their acceptance to Loyola High School. While several considerations establish the basis for acceptance, religious affiliation and faith background remain a component of the Loyola application. Loyola Cubs represent the best students selected and reviewed by the admissions department, but could our slight lean toward Catholic families destroy opportunities for non-Catholic applicants and deprive Loyola of amazing students? Religious affiliation, while displaying the beliefs of an individual, does not show the academic or athletic potential of someone. Non-Christian members of Loyola contribute exactly the same, per individual, as the majority of Christian Cubs. In Los Angeles, several prominent leaders of the community are non-Christians—Eric Garcetti, the mayor of Los Angeles; Mike Feuer, the attorney of Los Angeles; and Ron Galperin, the city controller, are all Jewish. 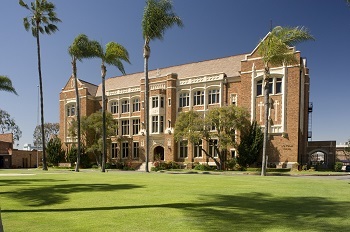 Loyola’s main function is its role as a college preparatory, academic institution, hence our title: Loyola High School. Separate from any moral considerations, Loyola’s bias could also be depriving the school of talented non-Catholic/Christian students. According to a University of Southern California study, only 37 percent of Los Angeles’s population is Roman Catholic. Creating a upperhand for Catholic/Christian students disadvantages other applicants. This favoritism can deprive Loyola of star students and athletes—potential history-making Cubs—that will instead turn toward secular schools like Harvard-Westlake or Brentwood, not out of choice, but out of force. A part of Loyola’s mission is to foster a campus of diversity, including religious variance. A partial prerequisite of a certain religion is not only counterintuitive to this goal but also the polar opposite of it, implying that Loyola should consist primarily of Catholic students. To create religious diversity and an exposure to the world’s great belief systems, Loyola must encourage other religious backgrounds. Being a Cub constitutes more than identifying as Catholic or Christian; it revolves around a drive to create a better world and become a better person in the process. As Loyola’s core value of faith describes, “Loyola exists to give students of all faiths a profound, life-changing experience of God’s unconditional love and a deeper understanding of themselves as persons of faith.” In order to reflect this value, Loyola should create equal opportunity of admission for all students of all faiths.